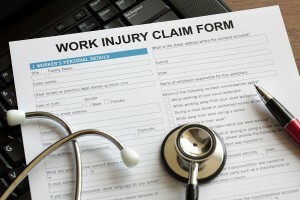 Workers' Compensation Attorneys | Scanlon, Howley & Doherty, P.C. SHD has over a half century of experience in all aspects of workers’ compensation defense proceedings—from the time an injury is reported to an employer, until the claim is litigated to its conclusion. Our attorneys and support staff assist claims adjusters and human resources personnel from employers, self-insureds and insurance companies in thoroughly investigating claims at their inception to identify questionable claims, and to limit potential exposure. SHD works in unison with panel physicians, and medical and vocational experts to return employees to productive employment quickly. We pride ourselves on the close working relationships we’ve developed with nationally renowned experts in the fields of physical medicine & rehabilitation, orthopedic surgery, neurology and vocational rehabilitation, among others. SHD conducts periodic claim reviews with employers and insurance carriers to develop and promote strategies and mechanisms to reduce litigation and claim costs. Attorney Thomas R. Nealon has lectured on workers’ compensation topics before the Pennsylvania Trial Lawyers Association, and served as an Opinion Writer for the Workers’ Compensation Appeal Board. As experts in general and product liability law, SHD investigates whether workplace injuries are the result of defective equipment, harmful products or the negligence of third parties. This symbiotic expertise often results in third parties reimbursing employers and insurance companies for workers’ compensation benefits paid to injured workers. The attorneys at SHD have handled thousands of workers’ compensation cases throughout Pennsylvania. We have extensive experience in defending claims for physical injuries, psychiatric injuries, occupational injuries and fatal claims. SHD owns an incomparable reputation and success rate.